"Anne of Green Gables" has remained a bestseller since its first publication over a century ago. 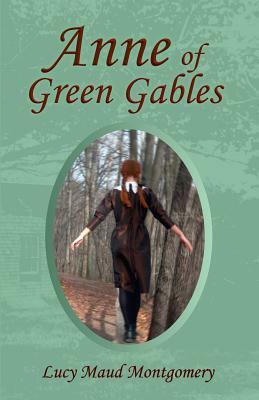 The novel depicts eleven-year-old Anne Shirley's unexpected arrival at Green Gables. The arrival of a girl, instead of a boy, is not the only surprise to be faced by Anne's new guardians, Matthew and Marilla Cuthbert. Marilla is faced with the daunting task of "bringing up" Anne-an unpredictable, romance-loving waif-into a respectable, reliable, member of Avonlea, PEI. Anne loves beauty and stories, while Marilla hopes that life can continue within the safe confines of hard work and propriety. Over the course of the novel, both Anne and Marilla learn to accept the "bend in the road"-the story that does not unfold as we had hoped or expected. This Rock's Mills Press edition is based on the first edition of the novel, published in 1908, and incorporates Montgomer's own corrections for the second printing, as well as period photographs and a new preface by Jen Rubio. Lucy Maud Montgomery, OBE (1874-1942) wrote numerous novels, including "Anne of Green Gables" (1908), "Rilla of Ingleside" (1921), and "Emily of New Moon" (1923).